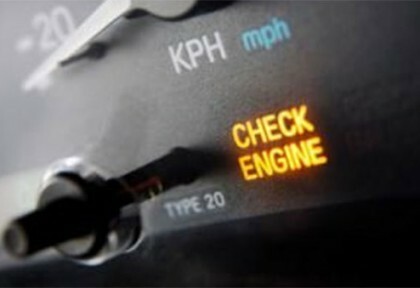 The “Check Engine” light is the little glowing indicator on your dash tells you something is wrong with your car. If you drive an older car, chances are pretty good that you’ve seen your Check Engine light on. In fact, a recent CarMD survey suggests that roughly 10 percent of all vehicles on the road have their check engine light on right now. But what causes that light to turn on? Based on an analysis of 160,000 repairs by CarMD, here are the top 10 reasons a check engine light can turn on.